Carotid artery disease is frequently completely asymptomatic, that is that the narrowing never causes any apparent problem. However there is some evidence to suggest even in the absence of obvious symptoms there is a gradual damaging effect on the brain as minuscule areas are affected by clots over time. People with Carotid Artery Disease should be on treatment to prevent, or at least reduce, these chronic effects. Symptoms from a Carotid Artery Stenosis are usually the same as a stroke; one side of the face or body is weaker, or speech becomes difficult to say or understand. Sometimes, if the main artery to the eye becomes blocked, there can be a temporary loss of vision in one eye. These symptoms must be reported to your GP or at hospital as soon as possible. 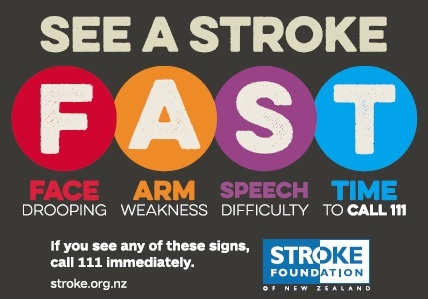 Stroke and Mini-Stroke (also called Transient Ischaemia Attack, TIA). These can be caused by disease in the main artery of the neck supplying the brain, the carotid artery. Usually this narrowing, called stenosis, is silent; no symptoms are felt by the patient. When a stroke or mini-stroke does happen it is important that the carotid artery is investigated and treated as soon as possible if it is diseased. This reduces the chances of the patient suffering further strokes, and can lead to many avoiding a significant stroke all together.